1. The cost of selling. The major cost of selling your house is the commission to the real estate agent, usually at 5 or 6 percent of the selling price. If you own a typical middle class house worth $300,000, then that commission runs at least $15,000. You can sell your house without an agent, and about 12 percent of Americans do it that way, according to the National Association of Realtors. But that involves some expenses as well, not to mention the time and aggravation. Also, a real estate agent has access to better customers, and will probably net you a higher price. Sellers also typically spend about $3,000 to spruce up their home before they put it on the market. In addition, as a seller you likely have to pay a lawyer, along with various document and recording fees. If you're selling a condo, there may be additional fees from the homeowners' association. So, count on spending about 10 percent of the price of your house in order to sell it. %VIRTUAL-article-sponsoredlinks%2. The cost of buying. You typically don't have to pay the real estate broker. But you likely do need a lawyer. And if you're getting a mortgage, you will have points and fees. You have title insurance, inspections and tax levies. And if you're buying a condo you might have a capital fund fee or a transfer fee. These costs can vary widely, so it pays to ask what these are ahead of time. If you're moving long distance, there may also be substantial travel costs in order to research your new location. Even if you do a lot of research online, there's just no substitute for spending some personal time in your new neighborhood checking out public transportation, schools, stores, parks, libraries and sports facilities. 3. The cost of moving.When you were in your 20s, you might have hired a U-Haul, called up some friends and done the work yourself. But you're probably not doing that when you're in your 50s or beyond. So, you'll need to pay a mover. You might need to store some furniture or other items at least temporarily. If there's a period of time between selling your old house and closing on your new one, there might be hotel bills, extra restaurant tabs and charges to board your pet. 4. The cost of re-establishing your home. After you move in, you might need to do some repairs or renovations. You'll likely want to paint the interior of the house, if nothing else. You might also want some new appliances. Then there's the cost of curtains and new rugs. And the living room sofa you thought would fit actually looks atrocious, so you have to buy a new couch. You might want new dishes or a new TV or computer as well. 5. The cost of re-establishing your life. You've spent a fortune to settle into your new home. But now what do you do? First, you have to restock your refrigerator and your pantry, and maybe buy new cleaning supplies. There may be additional charges or deposits to set up your Internet, TV or any other new service. You might want to join a golf, tennis or fitness club, which will probably require a deposit or initiation fee. And if your retirement dream includes a boat, get ready for docking fees and more maintenance, insurance and service fees. Many of these costs of moving are mandatory. Some are discretionary. It pays to know the score ahead of time. If you're only moving to save one or two thousand dollars a year in property taxes, then you may find it's not worth it. 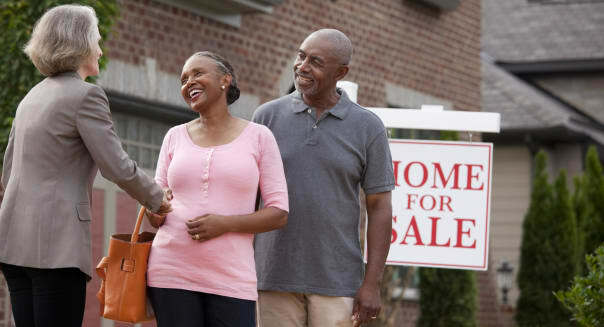 But if you really want to change your life via a major downsize, relocation to a less expensive area of the country or a move to be near grandchildren (who may help out with your move and set up your new computer for you), then don't be scared away by these expenses. Just be prepared. Tom Sightings is a former publishing executive who was eased into early retirement in his mid-50s. He lives in the New York area and blogs at Sightings at 60, where he covers health, finance, retirement and other concerns of baby boomers who realize that somehow they have grown up.